If it seems strange that an obviously qualified jazz multi-reedman such as Michael Marcus opted to record his second album for Justin Time playing such obscure collector's items as saxello and stritch, just listen to what he does with these rarely explored experimental offspring of Adolphe Sax. 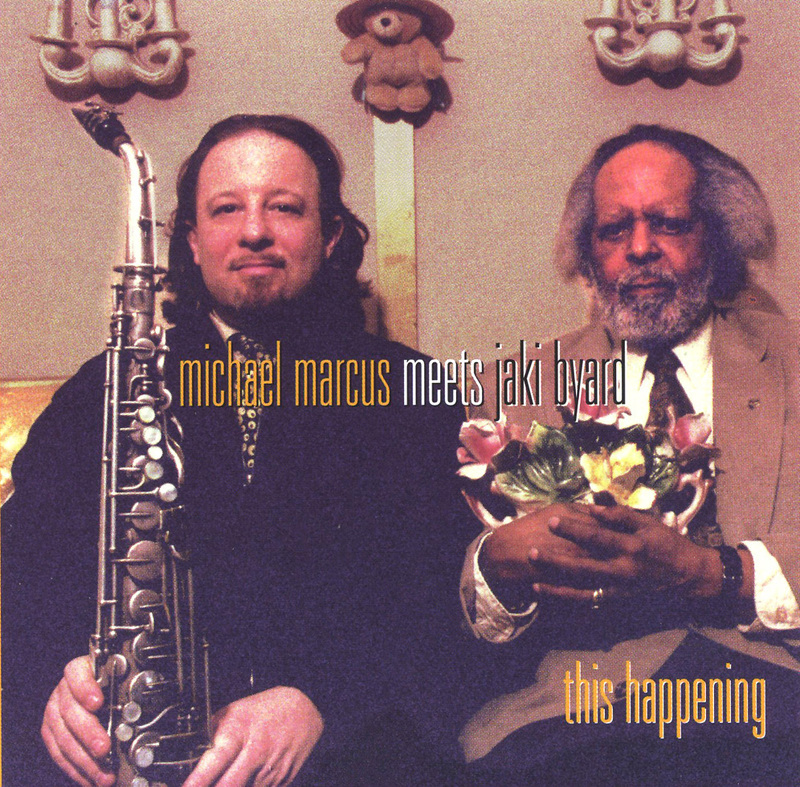 Working in tandem with veteran pianist Jaki Byard, a living definition of jazz eclecticism, Marcus moves neatly through seven originals and two standards, the concluding "Darn That Dream" and a seamlessly connected medley of "Giant Steps" and "Naima," upon which he turns to his rich, full- bodied bass clarinet for a deeply moving solo. Of course, it is great to hear the inimitable Jaki once again, weaving his stride-to-surrealistic lines in and out of the duo mix, but equal attention should also be paid Marcus, whose mastery of the stritch and saxello, horns presumably untouched since the days of Rahsaan Roland Kirk, excels in intonational quality the work of many better known contemporary altomen and sopranists.